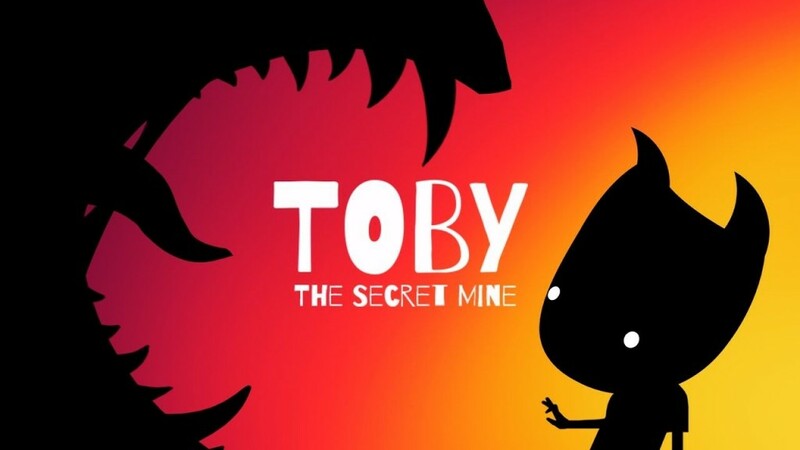 Toby: The Secret Mine, or TobyTheSecretMine as my Xbox calls it, begins with your playable creature, presumably called Toby. Much to his dismay, he stumbles across the kidnapping of another of his race by a larger, red-eyed version of himself, who also seems to have taken the rest of his village hostage. Immediately, the beast flees and a chase ensues only for you to fall behind before being stopped in your tracks by a cliff edge. At this point, the game’s title appears on screen and the adventure truly begins. Toby’s quest is a fairly simple one from there: track down the big chap, or chaps as it turns out, and rescue his fellow villagers who’ve been scattered across the game’s twenty-one 2D levels. You’ll encounter many of the red-eyed fiends throughout the game but strangely, considering they’re much bigger and often armed with bombs or bows and arrows, they always flee from Toby. It’s never really explained why they fear him or, in fact, why they kidnapped his friends in the first place. Not the most enthralling plot, but it does give you the choice of two endings. 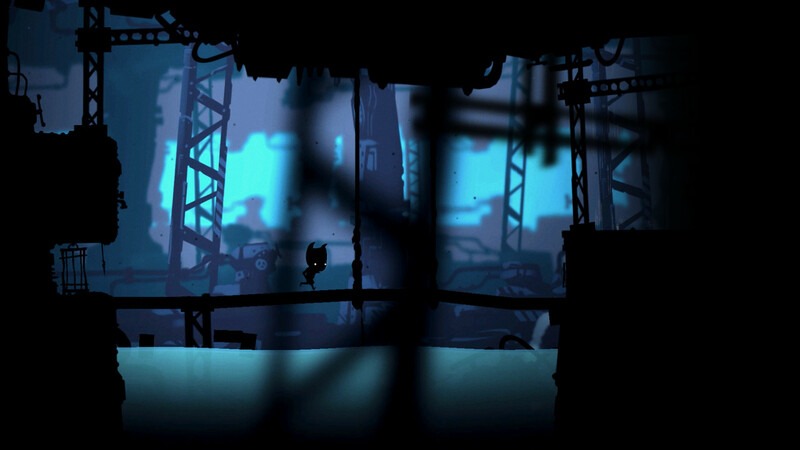 Right off the bat you’ll notice that the art style is lovely, although not very original in a time when indie games such as Limbo and Badland have already come and gone. It’s very much inspired by both titles–black silhouette represent both the play area and the creatures that inhabit it, with glowing white or red eyes distinguishing living creatures from scenery and friend from foe. 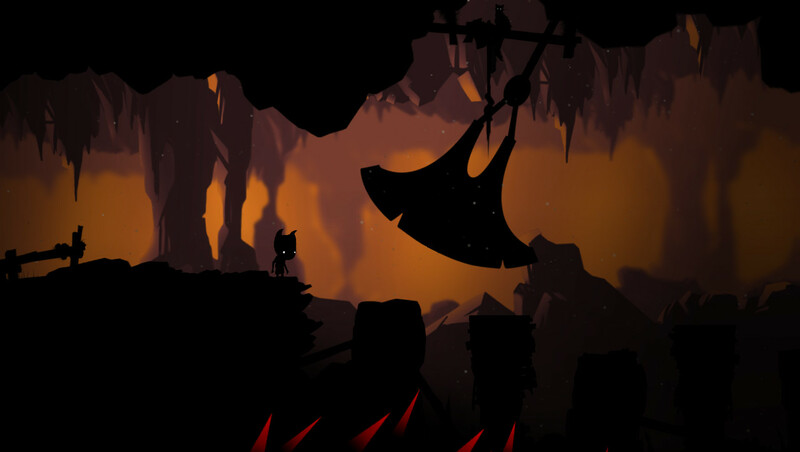 The backgrounds are the only stand out feature in the visuals department, with vibrant colours giving a stark contrast to the monotone foreground and, as you progress, these are regularly exchanged to highlight the varied areas of the game; orange for desert, green in the forest and so on. The gameplay is pretty basic too, but that’s standard fare for a puzzle platformer like this. Again, it’s very similar to Limbo with your only actions being move, jump or interact with levers, though occasionally you’ll stumble across a puzzle that pops onto screen and blocks your path forward. Initially Toby: The Secret Mine seems like a very relaxed little game, and one I expected to really enjoy, with your character slowly plodding along, searching for darkened areas that hide Toby’s “friends” and puzzle solutions without much danger, but around a third of the way through, the difficulty steps up massively. Sadly, a lot of the time this isn’t the result of tricky platforming or mind-boggling puzzles but simply because the game starts killing you. You’ll regularly walk into unexpected traps and spikes and enemies start to pop out of the ground without warning, meaning you’ll have to redo that section until you learn to avoid all of the dangers. In a fast paced game, such as Super Meat Boy, I could get on board with the difficulty but it just feels tedious when at odds with Toby’s leisurely trot. At times, puzzles will also fail to supply you with any information from which to glean a solution, so you just have to keep doing things wrong until you guess the correct answer. It almost feels like some of this was added to slow players down in a bid to drag out the game making it seem far longer than it actually is. At a measly two hours, there’s not a lot of value for money here. To top it off, the regular bugs make the adventure even less enjoyable. Throughout my time with Toby he often become caught on the corners of objects, once couldn’t move at all after respawning and twice reappeared underneath the level meaning I had to restart on all three counts. Bizarrely, Toby can also be dragged to his death by moving platforms when he is clearly no longer touching them. Taking all that into account, it’s difficult to recommend Toby: The Secret Mine. It’s clear that a lot of effort has gone into the game’s aesthetic but even that lacks originality. The bugs, uninteresting story and tedious gameplay do not make it an any more memorable experience. There’s really nothing here that other games in the genre haven’t done before, and done better.